Angry and jealous. That’s the perfect way to describe Jason Parker. After feeling that way for so long, Jason’s had enough. He’s starting to hate who he's become and his perfect facade is cracking. Jason’s blaming everyone but himself, he’s lashing out and the only thing that matters is numbing his own pain, doubt, and guilt. In the aftermath of betraying his step-brother, again, Jason slowly begins to see that no one is perfect and you can’t be alone. He’s pushed his family away and used people, mostly women, to make himself feel better. If people let him walk all over them, why shouldn’t he? That’s always been his attitude but maybe it’s not right. When his step-brother’s ex-girlfriend shows up, Jason can't deny the pull he feels toward her. His one steamy night with her as a teenager pushed him toward the downward spiral he’s been on. He knows he should keep his distance. But he can’t seem to stay away from the pretty brunette. Corinne's changed since they were seventeen. She's no longer the spoiled brat out to be arm candy like her mother taught her. She sees something in Jason. Something he desperately wants to believe is real. When she pushes him to be better, he falls for her. His feelings for her are strong and he can’t ignore them forever. Once he gives in he gives it his all. He can only hope everyone is ready to see the real Jason Parker. Anger, betrayal, jealousy, and love. Jason and Corinne are only letting one shine through. We all know that guy, the one that is a jerk just because he can be. Well in Hushed, that was the Jason Parker we knew. 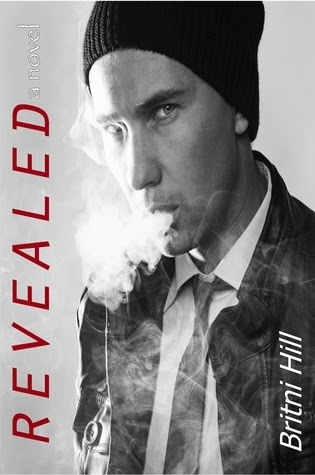 Revealed is his story and I really enjoyed getting to know his side of things. The college setting, the parties, and the drama all keep the story moving as you get to know Jason and Corinne's story. While their relationship was surrounded by the drama from their past, they found solace in each other which engaged me. I like characters that have flaws to overcome and can grow throughout a story. Without giving too much away, I have to say their Valentine's day is what made me fall in love with Jason. College is a learning experience, and not just in the classroom. Jason realizes that he's been a jerk for as long as he can remember and works hard to change that. The betrayal and tumultuous relationship between Jason and Blake gave this story even more depth. I always love a good redemption story, but I'm glad that it wasn't all puppies and rainbows for him. Real forgiveness takes time and effort, and I'm glad that was part of the Blake and Jason relationship.